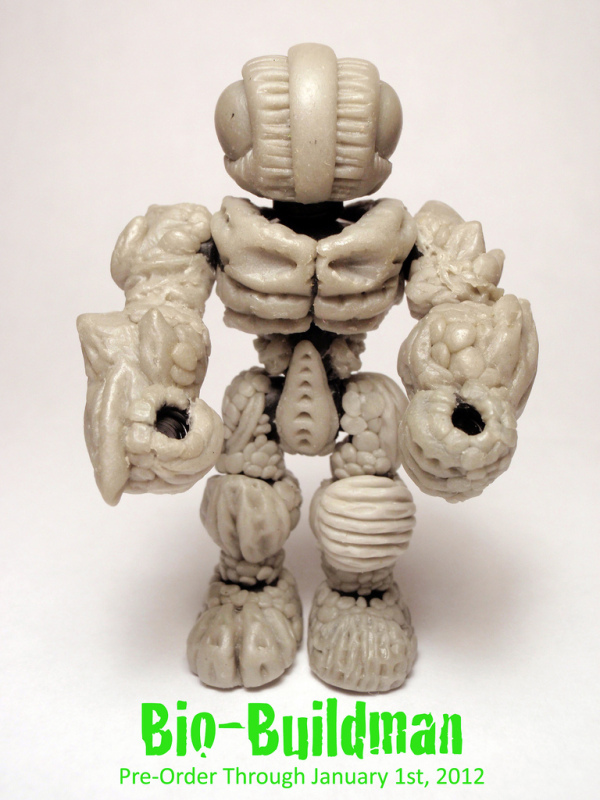 Troy Stith is now taking preorders for his Bio-Buildman, a figure utilizing the Glyos system of interchangeable parts. He will be taking orders for full figures ($25), as well as individual parts ($2 to $4 each), until January 1st, when the preorder window closes. Click here to go to the Gorilla Mouth shop. Hailing from the murky marshes of Sesar IV, the Bio-Buildman are an organically reptilian race of hunters. Upon hatching, they're left to tend to themselves. While young, the Bio-Buildman live on instinct that turns to cunning shrewdness as they age. 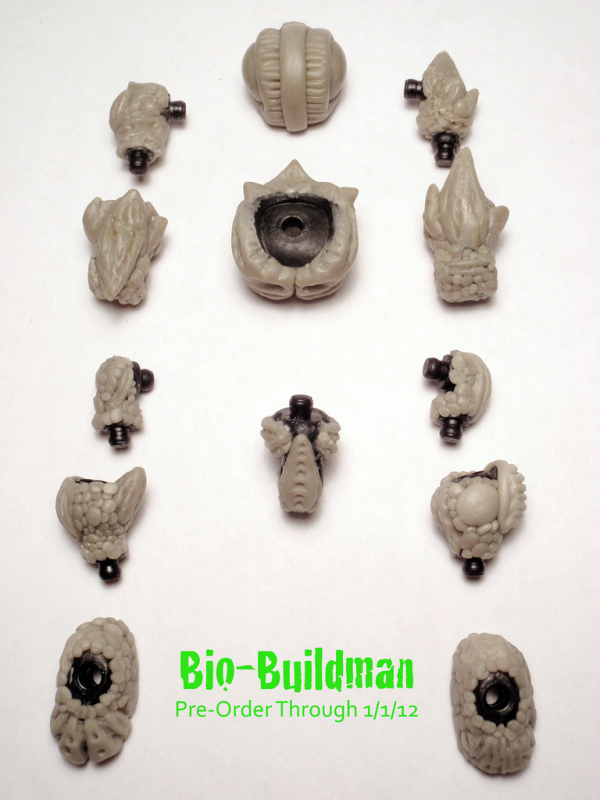 Each Bio-Buildman's carapace armor and weaponry grows specifically to the survival needs of each individual. The planet of Sesar IV is full of ever-changing alliances of Bio-Buildman. But one thing remains clear to all who've tried to lay their claim to Sesar IV, the Bio-Buildman will unite and crush any foe that encroaches on their territory. Wanna open a web store to sell stuff? Storenvy is FREE.